Lecturers at the University of Dundee Medical School were hosting a teaching session on identifying referred otalgia (ear pain that originates outside of the ear) within a patient. Before we took on this project, the lecturers were using visual assets that didn’t have the correct creative commons license for free educational use or didn’t exactly show the anatomy they wanted to focus on. This was when they realised that they needed our help to produce illustrations that not only could be used as part of this teaching session but could also be integrated into other lecture materials. 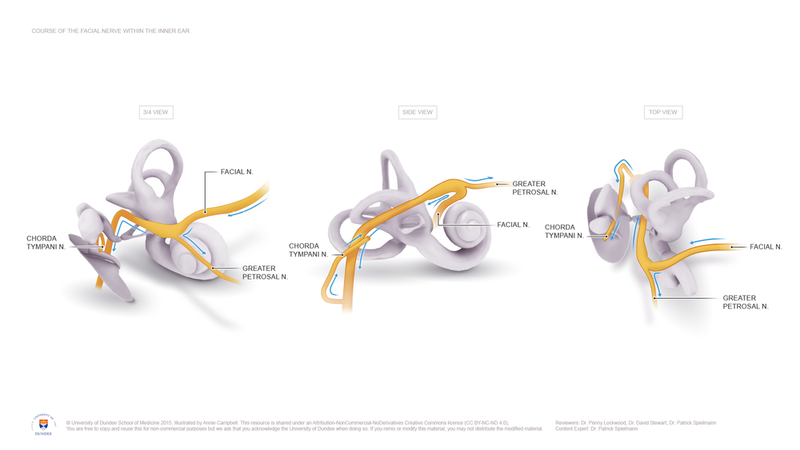 We created various illustration options of the ear anatomy. This gave our clients more flexibility in using these illustrations for their teaching purposes. During our initial research we noticed that there weren’t many visual resources that included the facial nerve. 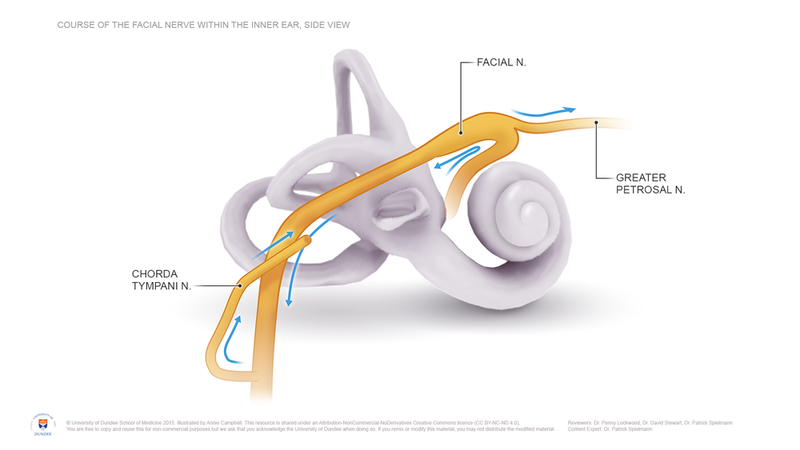 This was surprising since it’s course runs in close proximity to the structures of the middle and inner ear. Because of that we created illustrative highlights and viewpoints that might help a medical student. High-Res versions of these illustrations are available for educational use. You can access them through the TILT Flickr page.